Who is Guarding the Korean Border? 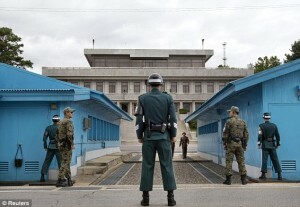 If you can think of a place that is hostile, you will probably visualize the Korea border. The border separates the North and South. This is the last Cold War border in the world. The area is called De-Militarized Zone (DMZ). If you are not familiar about the history of two nations, you should first read their history so you will understand the hostility. The borders are guarded by military men. Like here in Singapore, boys there are obliged to render their military service. After their service, it is up to them to continue their career as a military man or continue their previous lives. 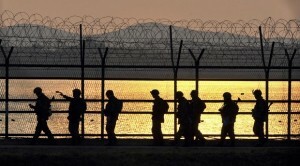 If you will see the DMZ, you will feel the hostility because the fence is heavily fortified. Landmines are also present together with listening posts and spikes. This will make the entering or leaving impossible but there are North Koreans who pass the DMZ unnoticed. This alarmed South Korea. Between North and South Korea, the latter is the one that is opening its doors to everyone. On that note, South Koreans welcome Microsoft’s equipment that can help them guard their border better. Microsoft designed and developed “movement-recognition Kinect” software. The software is adapted from Xbox. This is the newest security device and it is now installed in DMZ. The Developer: The software was developed by Ko Jae-Kwan. He is the founder and the president of the Saewan Co., He was commissioned by the military to develop software that can detect or differentiate a human or animal movement. His device can effectively detect movement, direction and sound of anyone who attempts to cross the border. Sensors: Sensors are also placed along the DMZ. It was mentioned earlier that the software can detect or differentiate a human or animal movement. The detection or differentiation is made possible with the help of sensors. New sensors have been installed. The new sensors are an addition to the old ones installed in 2013. What to Expect: The software is not yet complete but it is operational. According to the developer, Ko Jae-Kwan, he will update the sensors. The sensors will be programmed to read body temperature and detect heart rates. The additional features are presented in Xbox One released in 2013. This is a breakthrough in surveillance technology. In the next years, people anticipate that its application will be domesticated. The new security device will surely strengthen and fortify military surveillance. Though it is pricey, the security of the nation should be prioritized. You cannot put a price on security and peace of mind.